Happy 365days of women’s day! 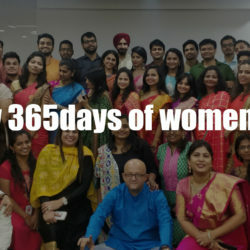 “Happy 365 days of women’s day” greeted my Manager to the entire team. We scream back in unison. By “we” here, I refer to both my male and female colleagues….